The holiday season is generally a heavy time for energy use, but that doesn't you can’t keep your utility bill in check. 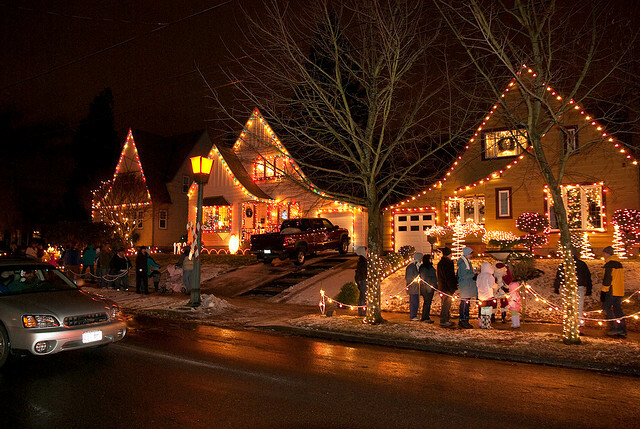 Check out 12 tips to help you save energy and money at home during the holidays. The holiday season is generally a big time for energy use (Turkeys to cook, lights to hang, guest rooms to keep warm and the list goes on … ), but that doesn't you can’t keep your utility bill in check. Check out the following tips to help you save energy and money at home during the holidays. For many of us, lights on our trees, around our mantels and on the outside of our homes are essential Christmas decorations. But did you know that if you leave a set of conventional Christmas tree lights on in your home for 10 hours a day over the 12 days of Christmas, you'll produce enough carbon dioxide - one of the main greenhouse gases - to inflate 64 party balloons? Outdoor lights tend to use even more energy, since they are usually high-wattage and, therefore, less energy-efficient. 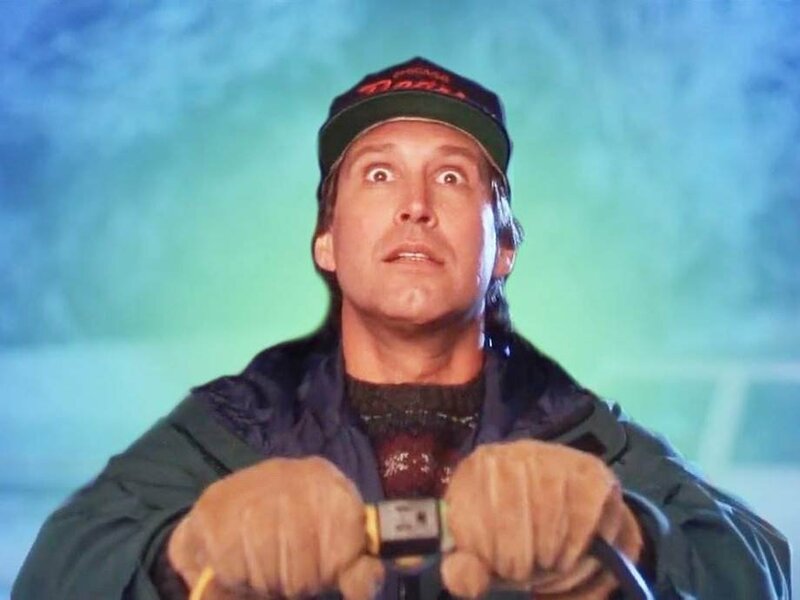 But fret not, even if your home is of the Griswold variety - it IS possible to keep up the holiday cheer with lighting and still save on your energy bill. Light-emitting diode, or LED, Christmas tree lights emit a bright, vibrant light that uses 80 percent less energy than conventional tree lights. They are also longer-lasting and stay cooler than traditional bulbs because they don't have a filament. It only costs $0.27 to light a 6-foot tree for 12 hours a day for 40 days with LEDs compared to $10 for incandescent lights. If every household only used energy-efficient bulbs, enough energy could be saved to close several power plants. We’ll toast an eggnog to that! If you are buying gifts that require batteries, consider purchasing rechargeable batteries -- which are more cost effective than disposable batteries -- and an ENERGY STAR charger for them. In the U.S. alone, more energy-efficient battery chargers could save families more than $170 million annually. 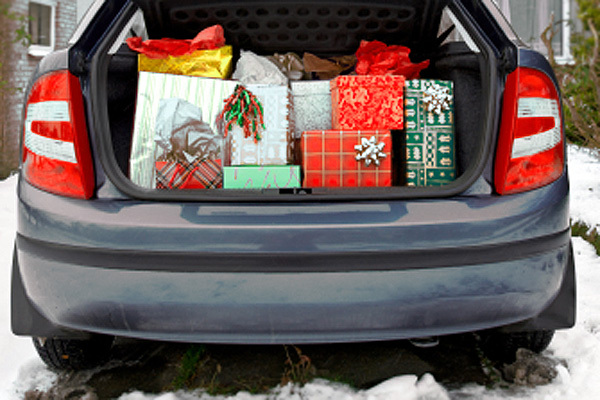 Whether you are driving across town to do errands or across the country to visit family, fuel costs can add up over the holidays. One way to reduce fuel consumption is to empty your car after all your driving trips -- an extra 100 pounds in your vehicle could increase gas costs by up to $.08 a gallon. Extra bodies in the house means extra warmth at no cost to you. Or better yet, install a smart thermostat that can do that for you without you lifting a finger! Even when you aren’t using lights and electronics, they still draw small amounts of energy -- at an average cost of $100 a year for American households. Plug your electronics into a power strip and turn it off when your lights and appliances aren’t in use to reduce your energy bills. Between holiday baking and big family meal preparation, your oven might be working overtime. Cooking alone accounts for 4.5 percent of your home’s energy use, and when factoring in other kitchen appliances, your kitchen’s energy use can be as high as 15 percent. By taking simple actions in the kitchen -- like using the right-sized pots on stove burners to save about $36 annually for an electric range or $18 for gas, and using the oven light to check on a dish’s progress to prevent heat loss instead of opening the door -- you can entertain in style without raising your energy bill. Remember: it takes the same amount of energy to heat a full oven as it does a nearly-empty one, so bake several dishes at the same time if possible. According to energyquest.ca.gov, 40% off all batteries are purchased during the holiday season. That's a lot of money spent on batteries and a lot of energy used! Make a pledge to buy energy-free gifts, and skip the expense entirely. If computers, TVs or other electronics on your wish list this holiday season, be sure to ask for ENERGY STAR home electronics for instant energy savings. Depending on usage, an ENERGY STAR computer can save 30-65 percent more energy compared a computer without this designation. TVs, DVD players, computers, printers, radios and many other electronics use energy even when they aren’t turned on. Unplug these items before you go on vacation, and enjoy the energy savings. Use sunlight to your advantage this winter. Open curtains during the day to allow sunlight to naturally warm your home, and close them at night to reduce the chill from cold windows. Leave the car in the driveway this year when you go out to look at Christmas lights. A walking tour of your neighborhood will be just as fun, and won't use any gas. Join OhmConnect and get paid to reduce your energy usage at peak times. Once you sign up, OhmConnect will notify you when the grid's worst-polluting power plants are at risk of turning on, and will pay you if you save energy at that time. Feeling charitable? Join the Sierra Club’s OhmConnect team and OhmConnect will donate your energy savings to the Sierra Club on your behalf. The donations are generated when California's energy authorities would rather pay to have residents save energy instead of paying those carbon-intensive power plants to produce more. The Sierra Club receives an instant $20 when you join, and OhmConnect donates an average $50 on your behalf per year to the Sierra Club. Help protect the environment, support the Sierra Club, and receive rewards with the flip of a switch!